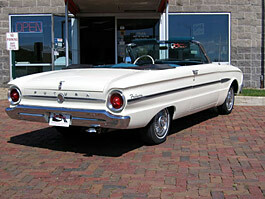 1963 Ford Falcon Futura Convertible. factory AM radio, under dash after market gauges. 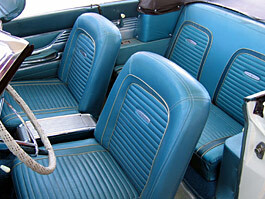 Good Blue vinyl bucket seat interior with center console. Freshly buffed and waxed Diamond Gloss Corinthian White finish with a power White vinyl convertible top. 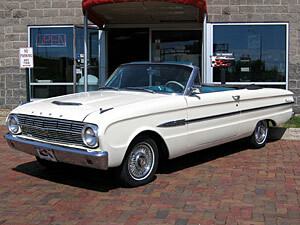 Rare, solid Falcon convertible ready to show!